Corporation tax planning: tax efficient business structuring; profit extraction and remuneration planning; professional practice restructuring; acquisitions and mergers; M&A tax mitigation; share option schemes; business succession and business valuations. As head of the corporate and business tax department, Angela specialises in tax consultancy and says there is nothing she likes better (well almost) than helping to mitigate a client’s tax liabilities. Working alongside her fellow Directors in the taxation team, her role involves everything from basic tax planning to advising businesses on complex restructuring. 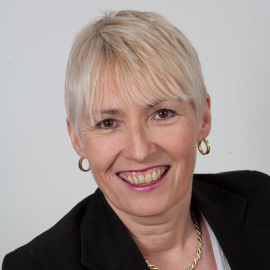 Having formerly run her own business in the retail and distribution sectors and also been financial controller of a large international company, Angela has an excellent insight into clients’ commercial issues and the need to ensure overall business success. She also has experience in valuing both unincorporated and incorporated businesses, a role which has both led her into the courtroom as an expert witness, and seen her negotiating with HM Revenue and Customs. With a married daughter and a teenage son, Angela’s spare time is taken up writing a crime novel – and for anyone who asks, it’s not set in an accountancy practice.